Kaskazi Breeze AR - Venture Sport, Inc. 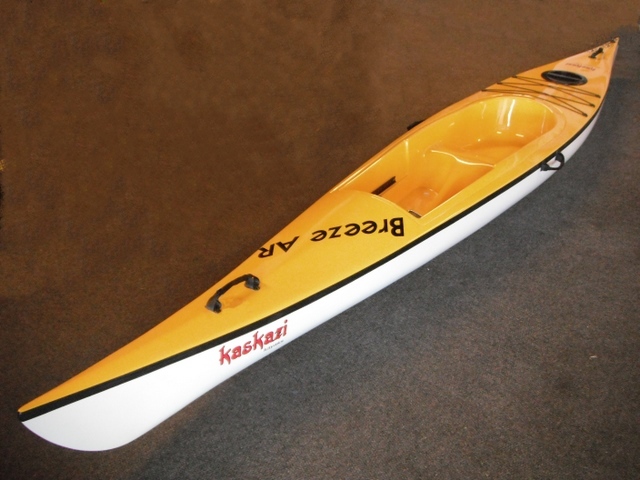 The Breeze AR specialty kayak is the sit on top version of the very successful Breeze. It’s a fun, light and compact kayak. As the name suggest it is easy to paddle and carry. Ideally suited to kayak paddlers up to 100kg and 1.8m although it has enough buoyancy to carry 120kg comfortably. Even without a rudder, it has exceptional tracking ability and responds quickly to lean steering. It is a fun boat to paddle in surf and it’s simplicity makes it robust and durable. The Breeze AR can be fitted with a rudder if desired. The Breeze is a great entry level kayak. Perfect for the whole family for casual paddling or day tripping in light to moderate sea conditions. The width creates a stable platform for great bird watching or photography. Its exceptional handling makes it fun even for the experienced paddler.